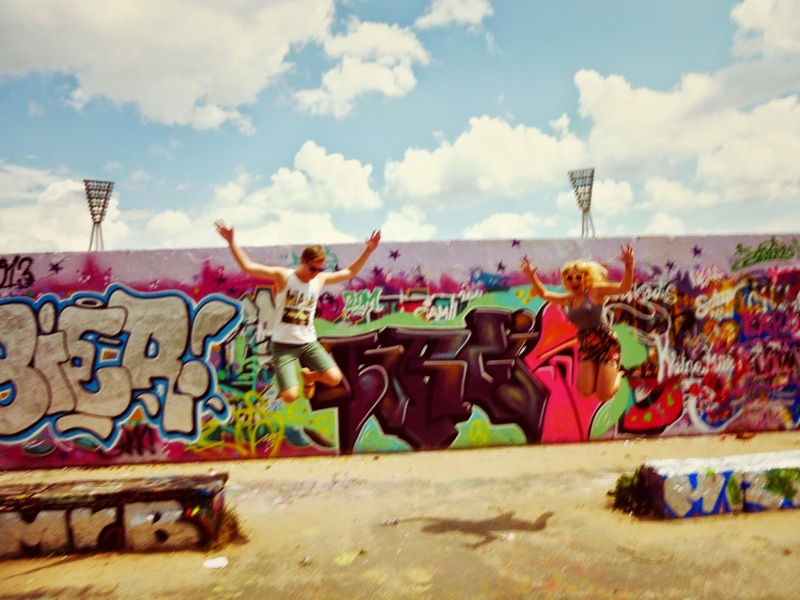 Home berlin top things to do best free things to do in berlin free activities berlin free activities in berlin free things in berlin fun things in berlin fun things to do in berlin Berlin Top Things To Do - including free things and fun things! Berlin Top Things To Do - including free things and fun things! 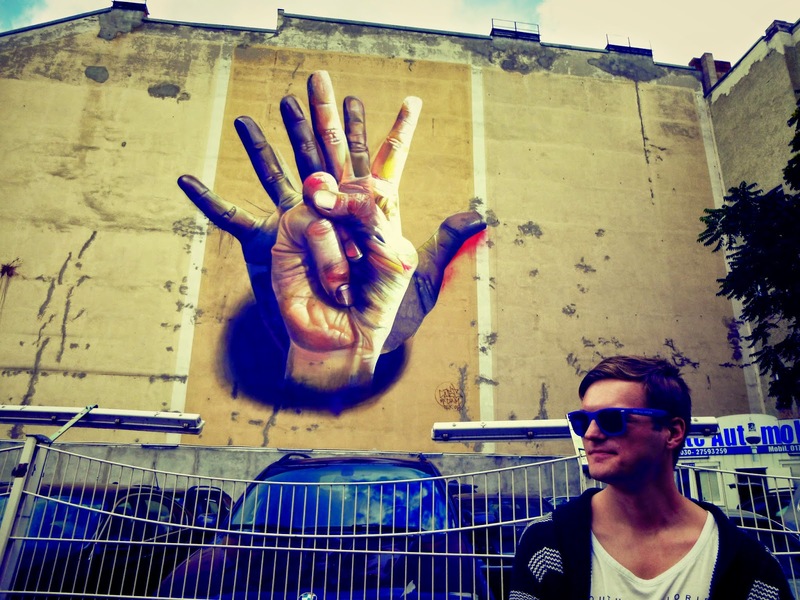 This isn't just any list of top things to do in Berlin - it's also a list of free things to do in Berlin!! Mostly. And, at least in my opinion, these are all fun things to do in Berlin. 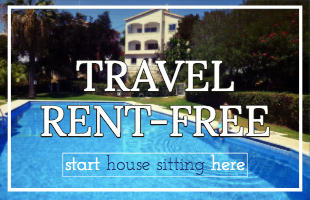 And it doesn't stop there, this blog post also tells you how to stay in Berlin for FREE. Berlin is one of my favourite cities on the entire planet - it's grungy, it's hipster-y, it's liberal, but mostly it's just cool, it can't be denied. 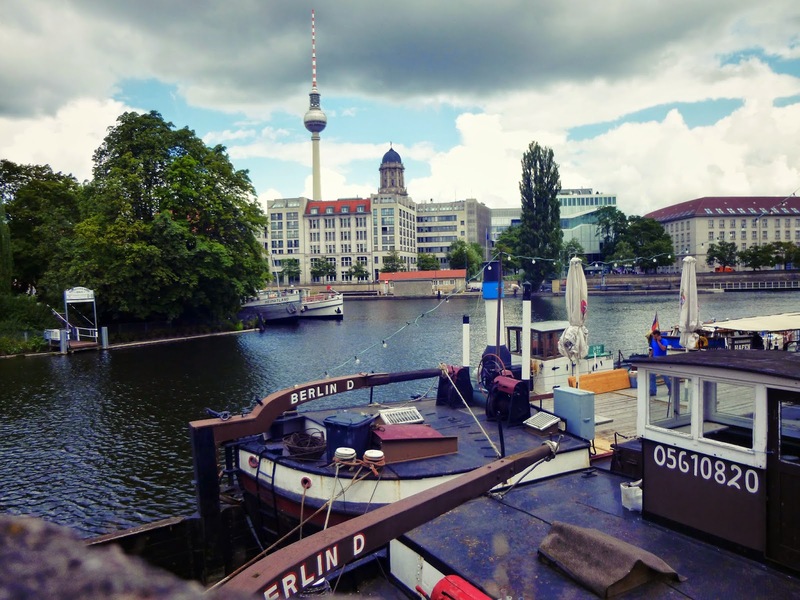 Most of the top things to do in Berlin also happen to be free things in Berlin that you can do or see with the whole family. 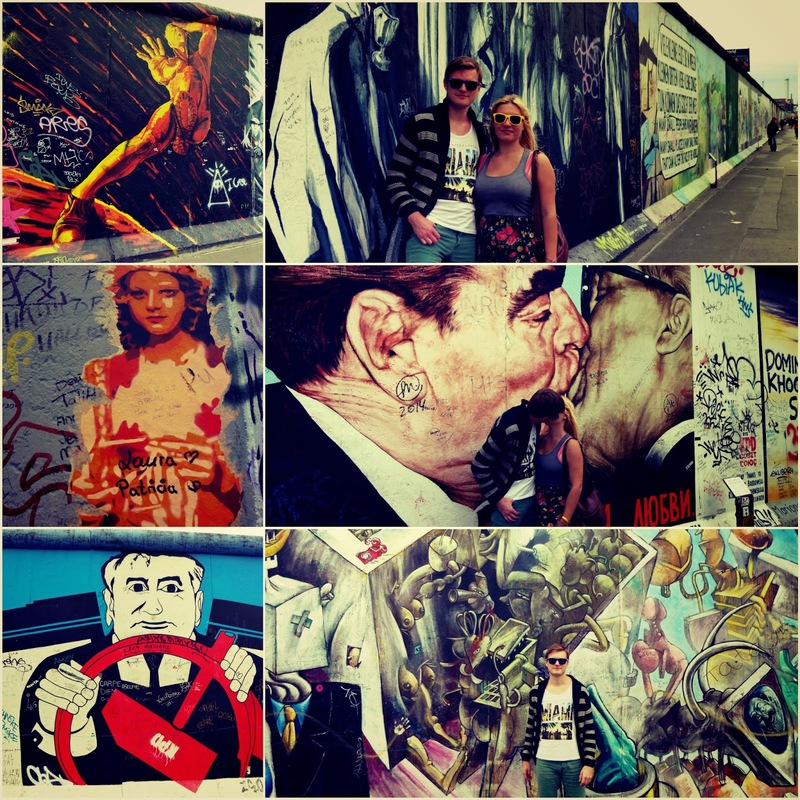 The East Side Gallery is located in former East Berlin on the other side of the Spree. It was originally graffitied just on the west side, but now it's been decorated on both sides and looks great. 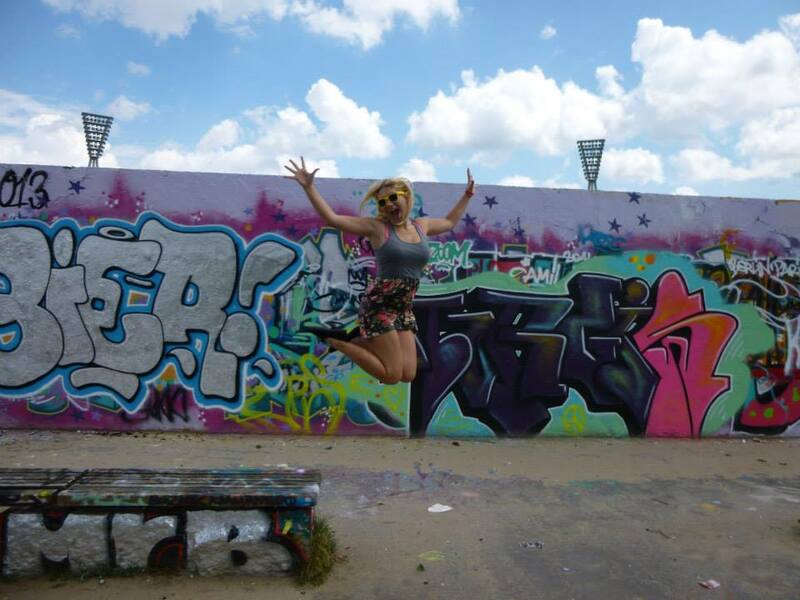 I love 'organised' graffiti and we had fun walking along here, it's definitely one of the best free activities in Berlin, actually I'd go so far as to say that it's the best free thing to do in Berlin, but that's just my opinion. 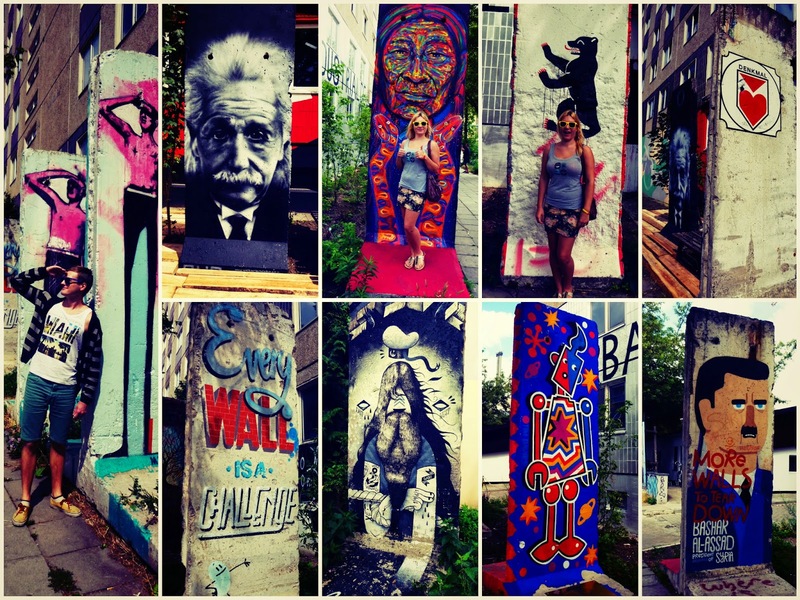 If you're looking for insta-good shots and political graffiti, this is the Berlin Wall for you. 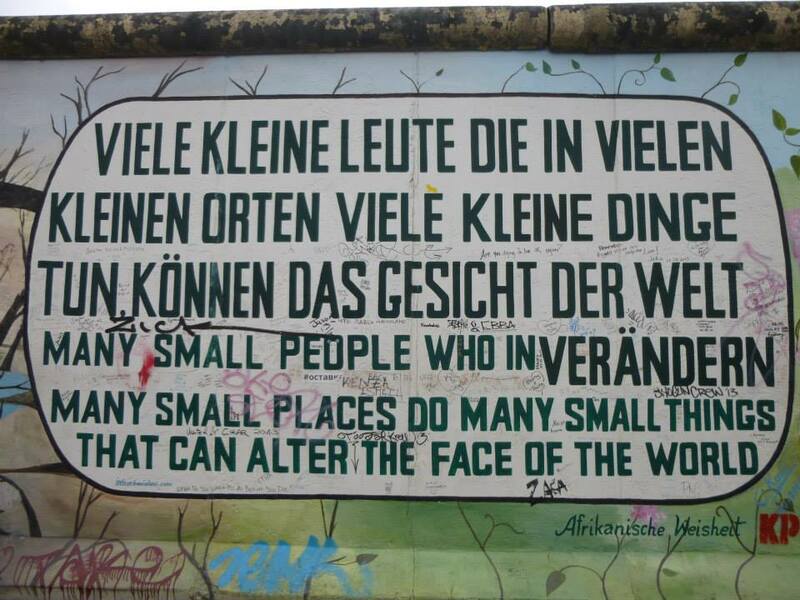 If you're looking to see a more historically accurate Berlin Wall and to learn a few things, head over to the Berlin Wall Memorial on Bernauer Strasse (street). There is lots going on on this street - lots of things to learn and see. Whilst Bernauer Strasse is pretty good, if you want to delve in deeper take a Berlin Wall tour to learn more about the history behind the Berlin Wall. 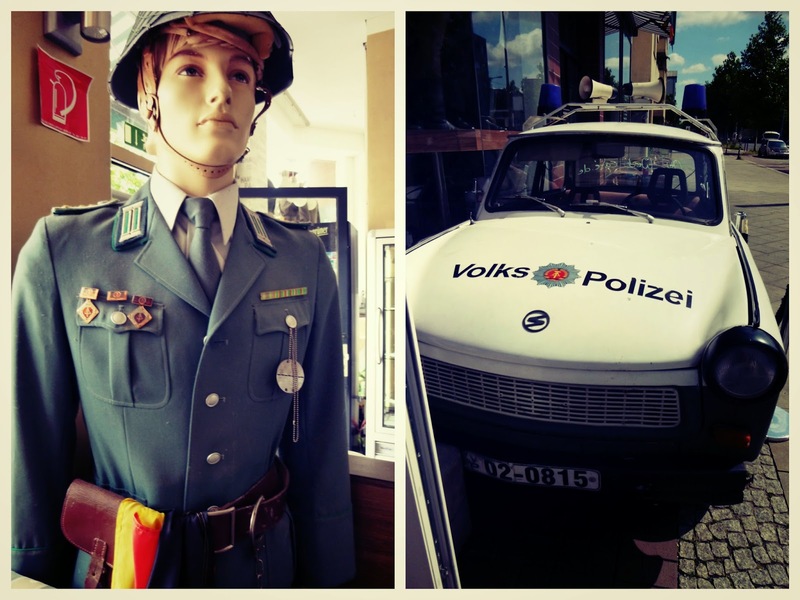 The East side gallery (arty) and Bernauer Strasse (historical) are permanent spots for the Berlin Wall, but you may well find a few temporary exhibitions too. For example, when we visited there were some pieces on Koepenicker Strasse. 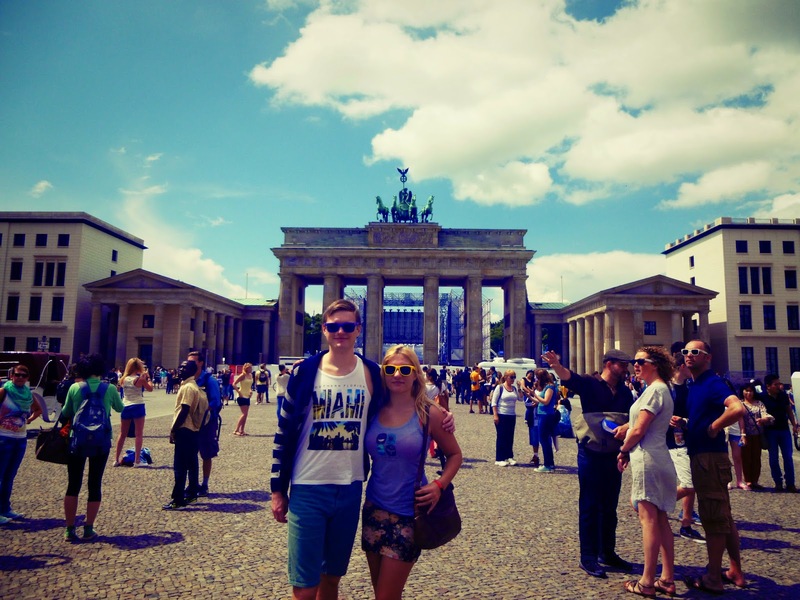 The Brandenburger Gate is the quintessential symbol of Berlin - and it's (arguably) in the centre of the top things to do in Berlin and makes for a great meeting point. But it's so much more than that - historically it's very important, during the Cold War, tourists to West Berlin could stand on a platform here to take a peak at East Berlin, Regan made his famous speech here (Mr Gorbachov tear down this wall). Nowadays it's a symbol of peace and, like I said, a great meeting point. Jacko fan or not if you're looking at the Brandenburger Tor, you might as well look to your left and see Hotel Adlon where Michael Jackson dangled that baby out of the window... Jacko aside, this is a fancy hotel and you can have really nice luxury afternoon tea here, but it's not one of the free things in Berlin (obviously). 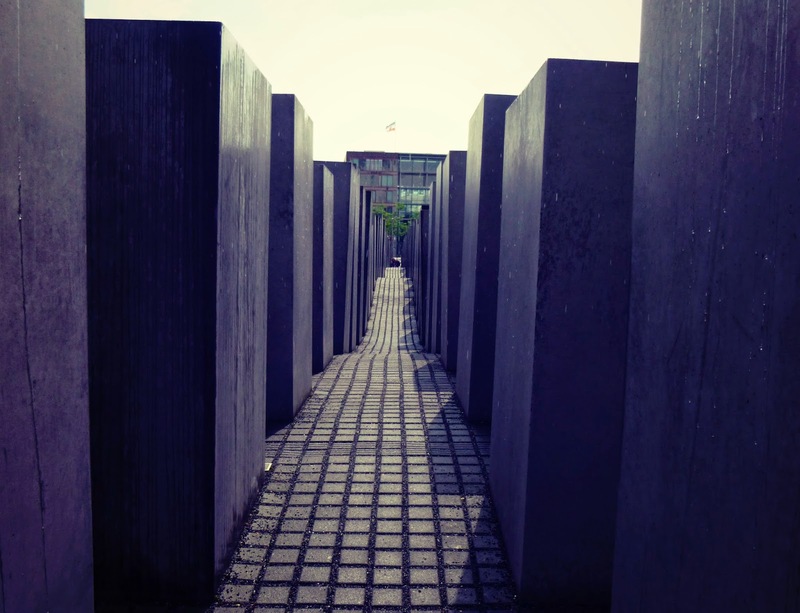 Three minutes walk from the Brandenburger Tor (walk through it, go left) is the Holocaust Memorial. It was built in 2005 it consists of 2,711 blocks of concrete in varying heights. Most people go to take photos, but there is also a museum underneath. There's a super German reason for there being 2711 blocks - it was the number that would fit in the allotted place. Both walking through the stones and visiting the museum are free activities in Berlin - though donations are appreciated. Be respectful when you walk through here, it's not a spot for getting those insta-good shots, it's a spot for remembrance, they've even been covered with anti-graffiti paint (ironically, the company that made the paint has direct links with producing a chemical that was used in the gas chambers... in the end it was decided that finding a company that didn't have fascist origins would be impossible to find so they left it). Long story short, don't graffiti, don't take disrespectful photos. 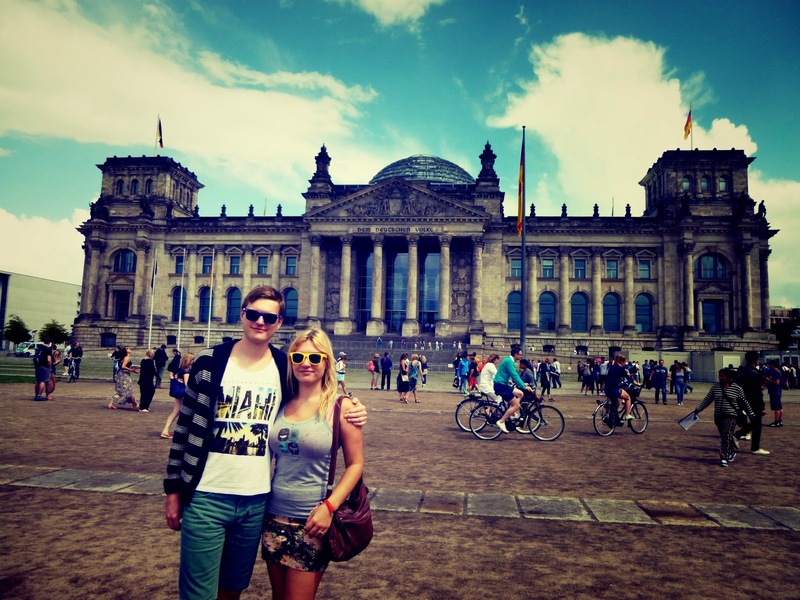 Located just a few minutes walk from the Brandenburger Tor (this time go through and go right) is the Reichstag. The Reichstag is the Parliament building. You can have free access to the clear dome at the top and the great views, but you have to book in advance. If you're left it too late, book a Reichstag tour here. 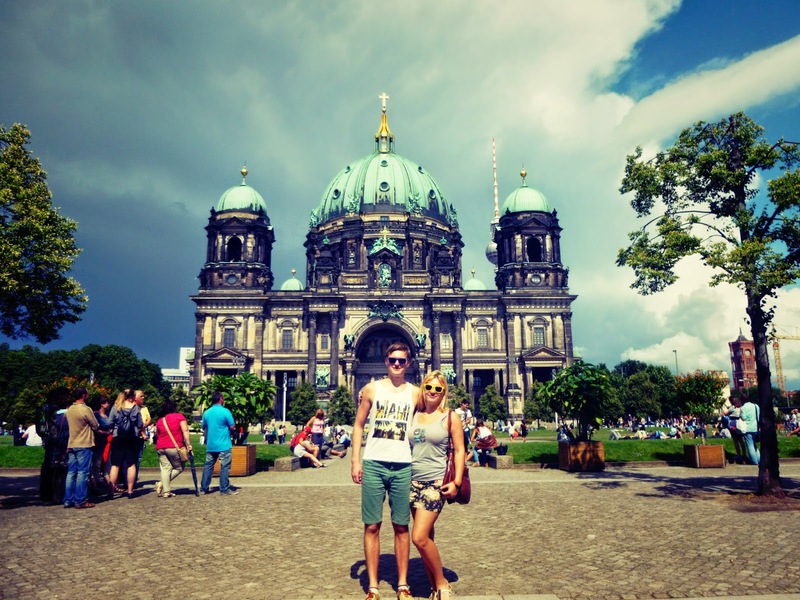 The Berliner Dom (Berlin Cathedral) was my personal favourite of our (self guided) walking tour through Berlin. I think it's just beautiful - Westminster Abbey and Notre Dame eat your heart out! You can go in for €5, which we didn't. But you could! Or at the very least walk around the edge. Kunstmarkt means art market. 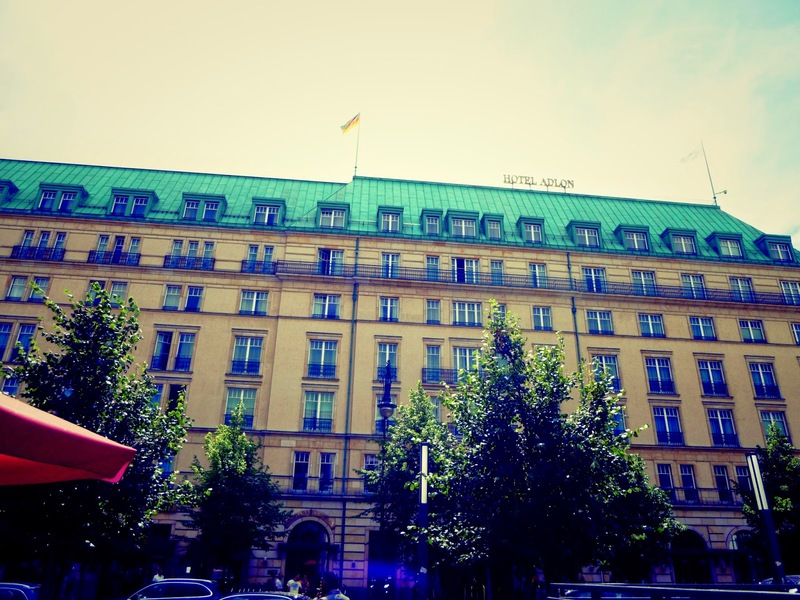 It runs on Saturday and Sunday, is very short in length and located near to the Berliner Dom. 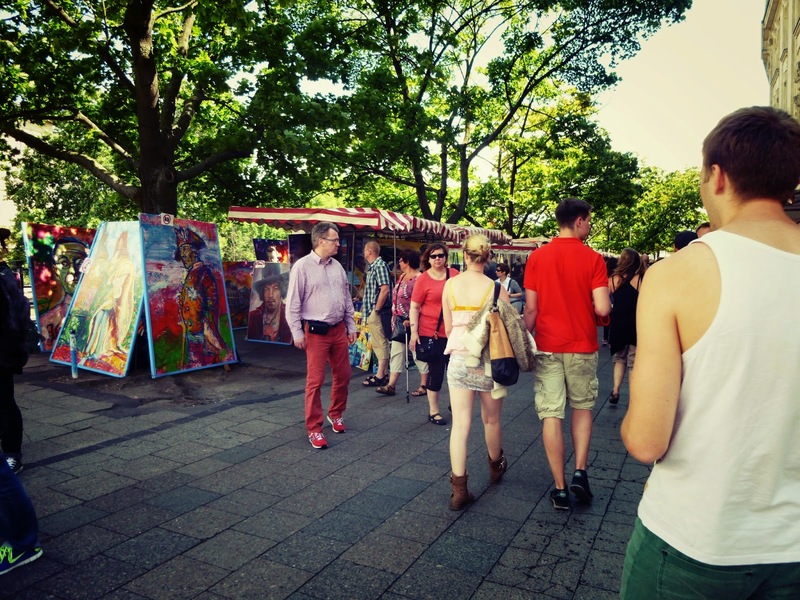 So if you go to the Berliner Dom have a walk along this art market for free! Zeughauskino literally translates as 'stuff house cinema' and isn't free at all, but I really like this building from the outside - and not just because it's pink! Though that's the main reason. It's located opposite the Berliner Dom. 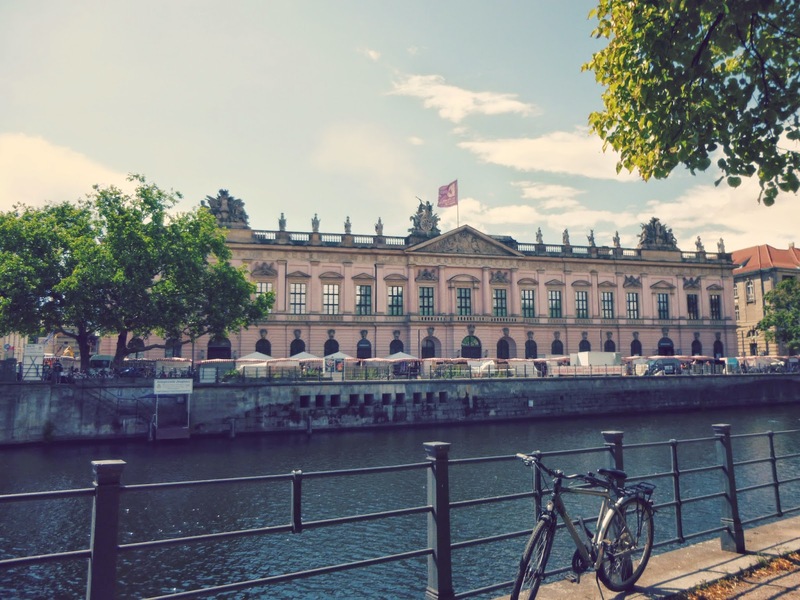 Another building that's just free to look at, and is also located next to the Berliner Dom is the Altes Museum (old museum). 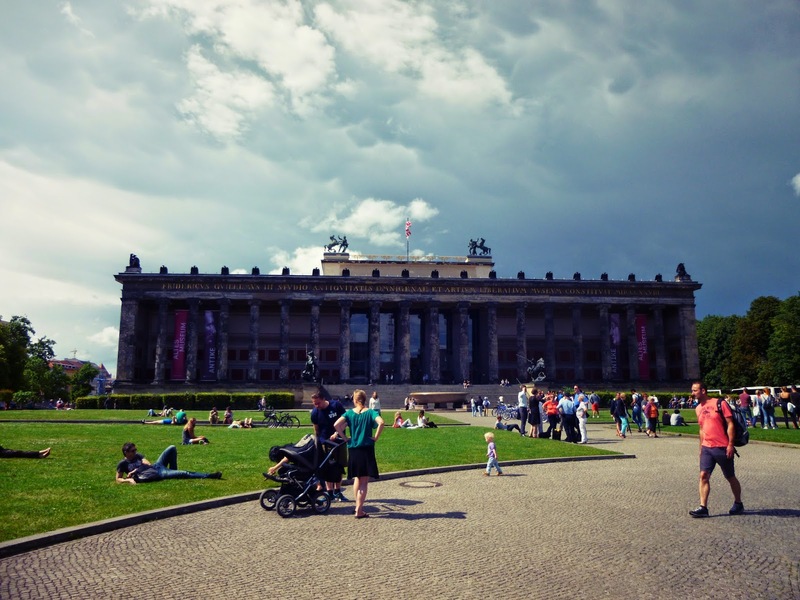 There are lots of museums near the Berliner Dom. 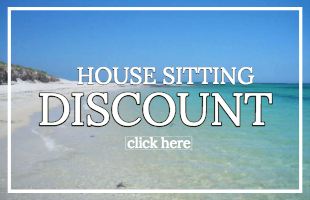 To find out how you can do housesitting Berlin too, click on that post. 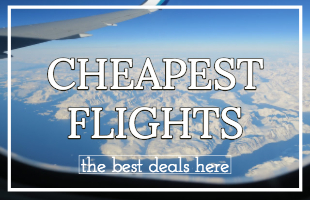 These are also mostly free tbh. However, I really did enjoy the street artists! There were guys playing the drums on empty paint pots, and acrobats! Both were incredible. Like most street artist these were free to view, but appreciate (and deserve) a donation. 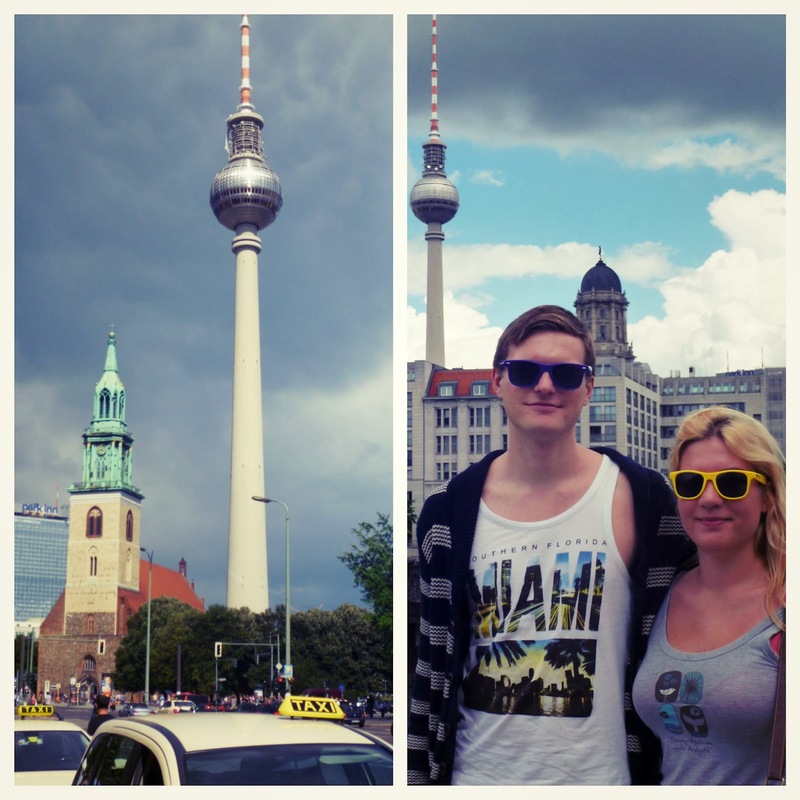 The other thing which hangs out at Alexander Platz (which I also don't like) is the Fernsehturm (tv tower). You can see this monstrosity from all over Berlin. I think it's well ugly, but you may have no taste and want a closer look ;) You can even go up the tower and enjoy a view that doesn't have this monstrosity in it. 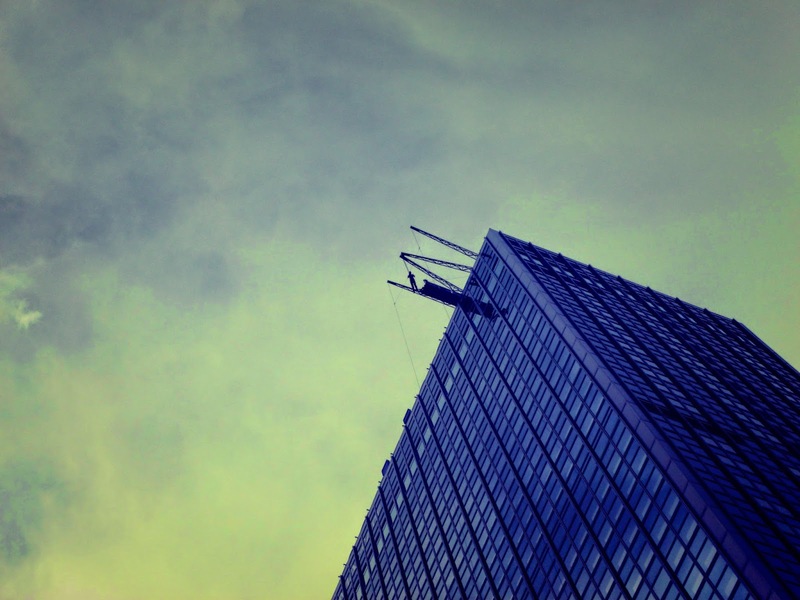 Another thing that goes down in Alexander Platz are the bungee jumpers. Like most bungee jumping it's expensive to do, but like most dangerous sports it's free to observe! It's one of the most fun things to do in Berlin - they scream so hard. 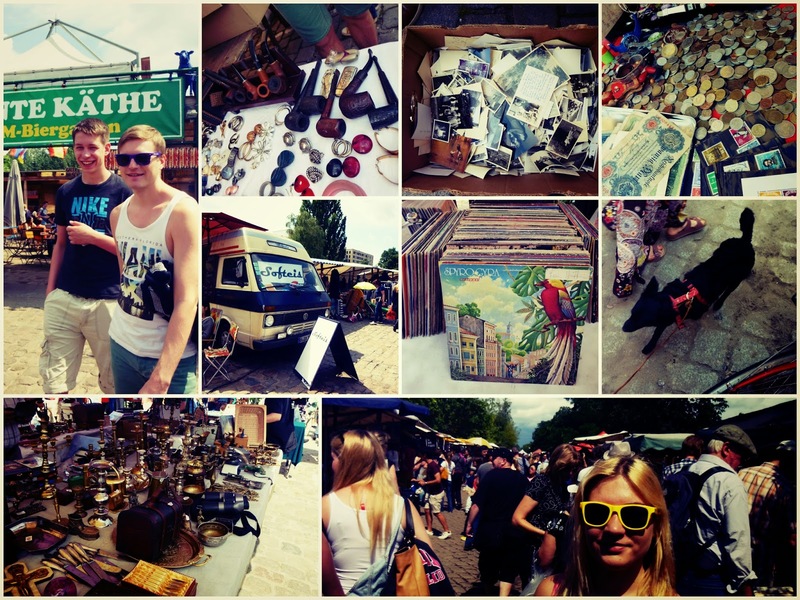 The Mauerpark Flohmarkt (wall park flea market) was so excellent! I don't think I've ever been to a flea market where there is so much stuff I wanted to buy AND that stuff was really cheap! Normally I find that flea markets are full of junk and people trying to overcharge you for it. 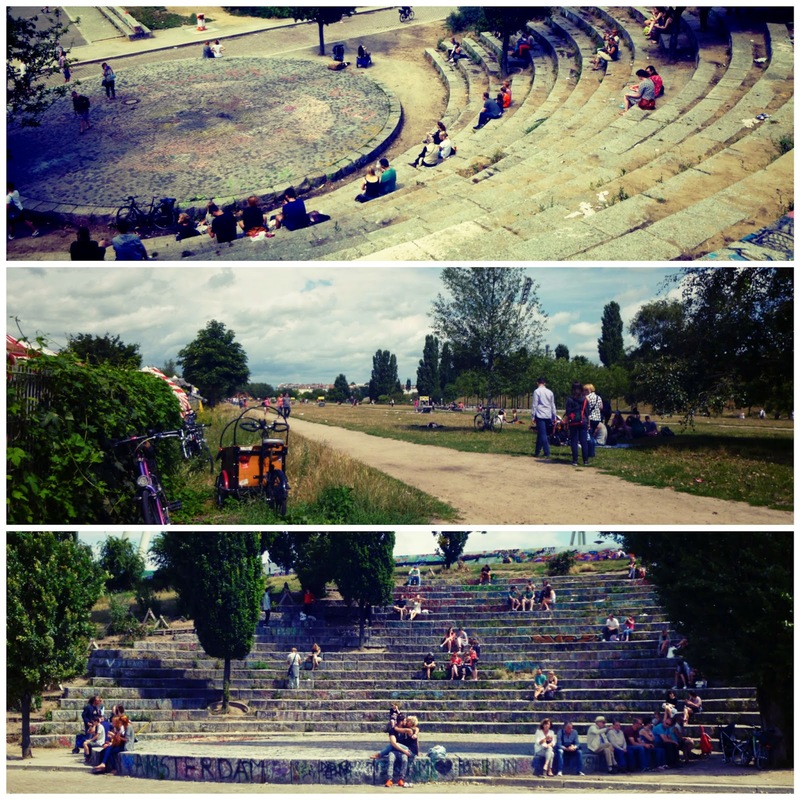 I'd heard that the Mauerpark was overrated, but I didn't find that that was true at all! It's only downfall is that it's only open on a Sunday. There were so many cool things to 'window' shop for - candle sticks, old coins, old photos, jewellery, clothes, vinyls.. you get the picture. 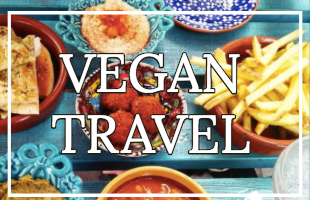 They also sell the best smelling food! We'd had breakfast somewhere else so didn't have the privilege of eating any of the food.. but we did treat ourselves to freshly squeezed orange juice for 1 Euro. Living the dream! Three minutes walk from the Mauerpark Flohmarkt is the Ost West Cafe (East West Cafe), we had breakfast here which was quite good, but I'd actually recommend that you eat at the Flohmarkt. Why mention the Ost West Cafe then? Two reasons: their coffee is excellent and they have a superb collection of DDR items. The staff were pretty friendly too. The Mauerpark Flohmarkt is actually hosted in (you guessed it) the Mauerpark. This is a pretty grimy park - but that's what I liked about it. 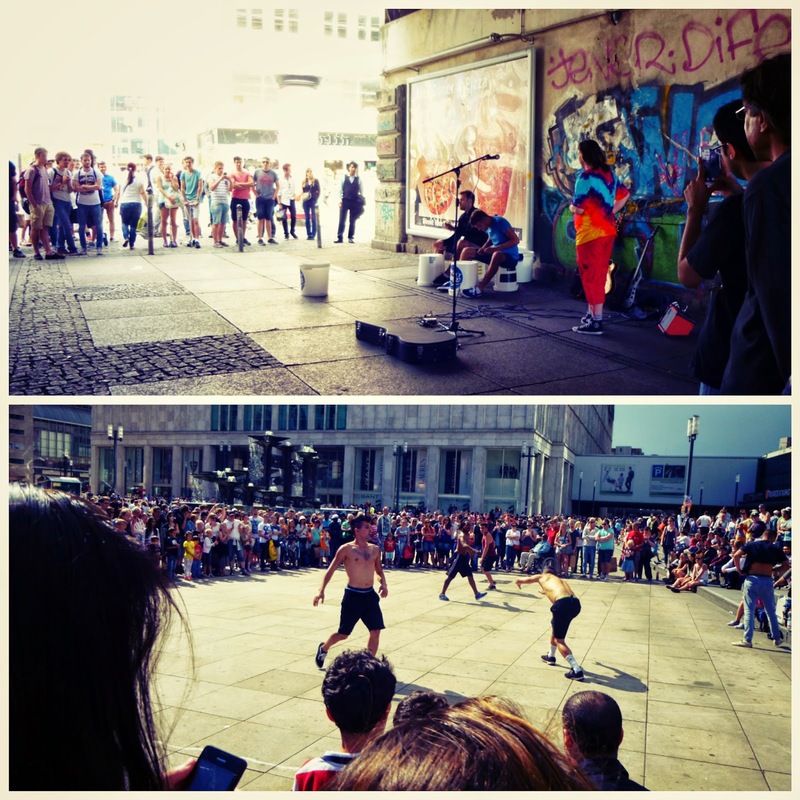 Actually, this is one of the best free things to do in Berlin imo. At the top of the park is a nicely decorated graffiti wall and some swings! This is the perfect place to chill with new friends, drink wine, 'smell' pot etc. I am a big art fan so this is something I enjoy a lot, and around Berlin there is a lot of street graffiti - and not just the stuff that's on the old Berlin wall. This above photo is quite famous in Germany because it was in an advert. There are a lot of lovely BMWs and VWs in Berlin, it sounds cliche but it's true. We also saw lots of trabis. 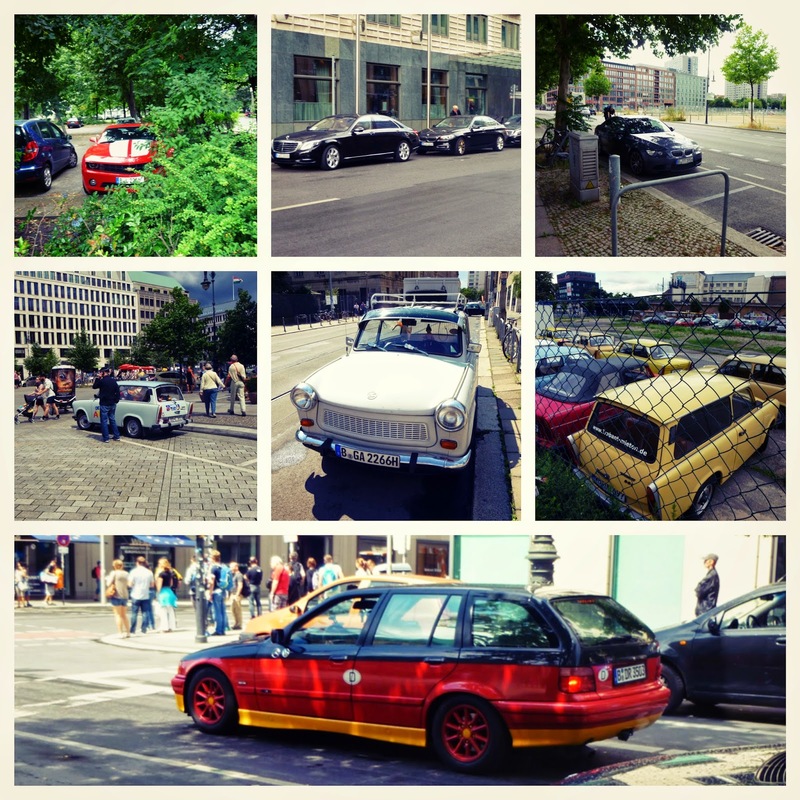 Trabis were very much wished for in East Berlin, they're also some of the worst cars ever. My favourite car that we spotted was the bottom one in the above photo - it was decorated as the German flag! 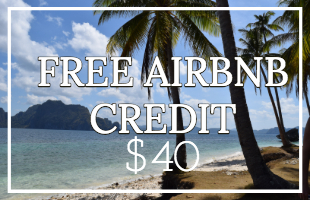 You can rent a boat/ go on a boat tour etc. 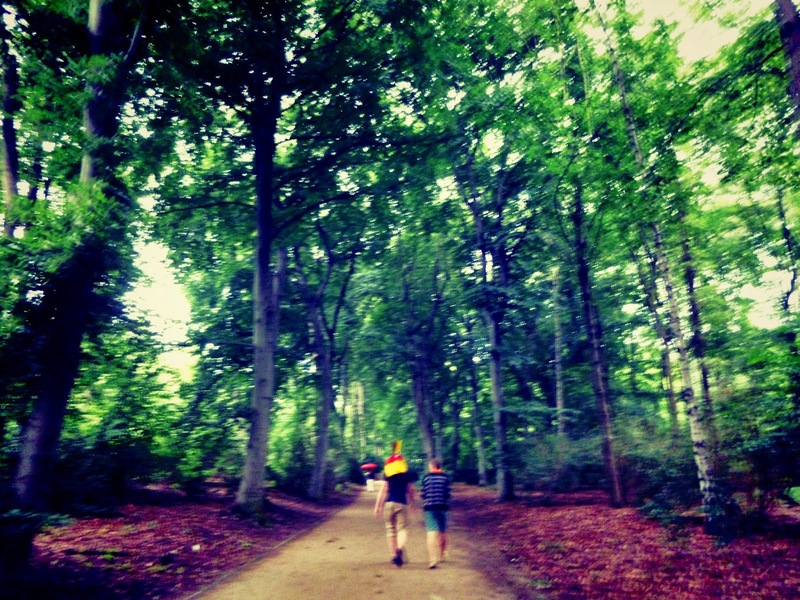 But this is a post about free things to do in Berlin, and walking is almost always free. We walked along the Spree and it was very nice and surprisingly clean. 19. Ask: who let the dogs out? We love dogs and we saw no cats, so if you're a cat person look away. 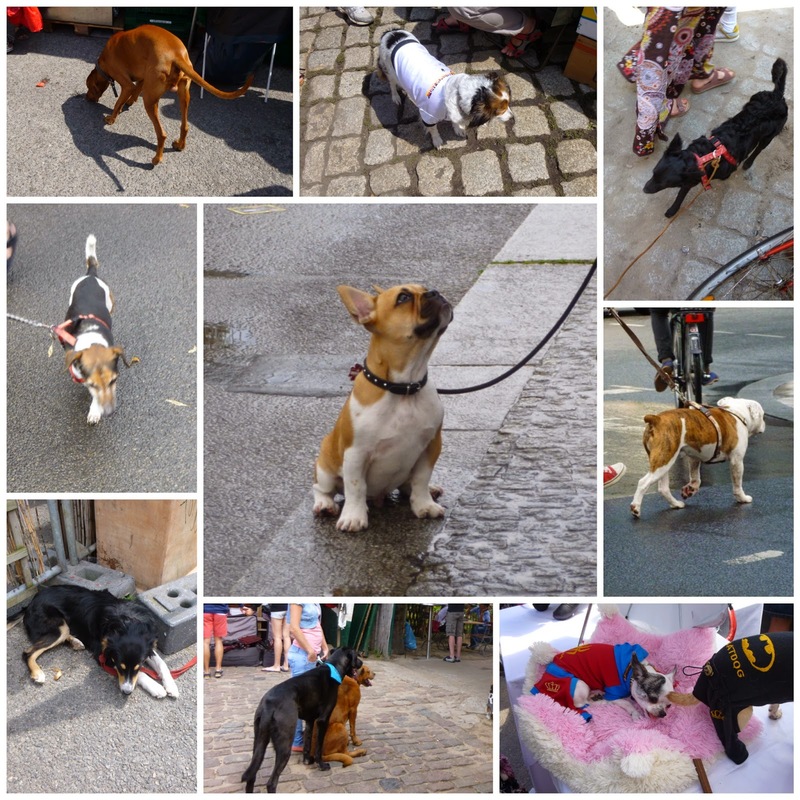 We saw loads of dogs in Berlin, one looked like it was on its own (Mauerpark) but all the rest were with owners. You can ask the people if you're allowed to take photos, or just be rude and touristy like me and just do it. Not all the sights you can see in Berlin are depressing and related to WW2 or the DDR. 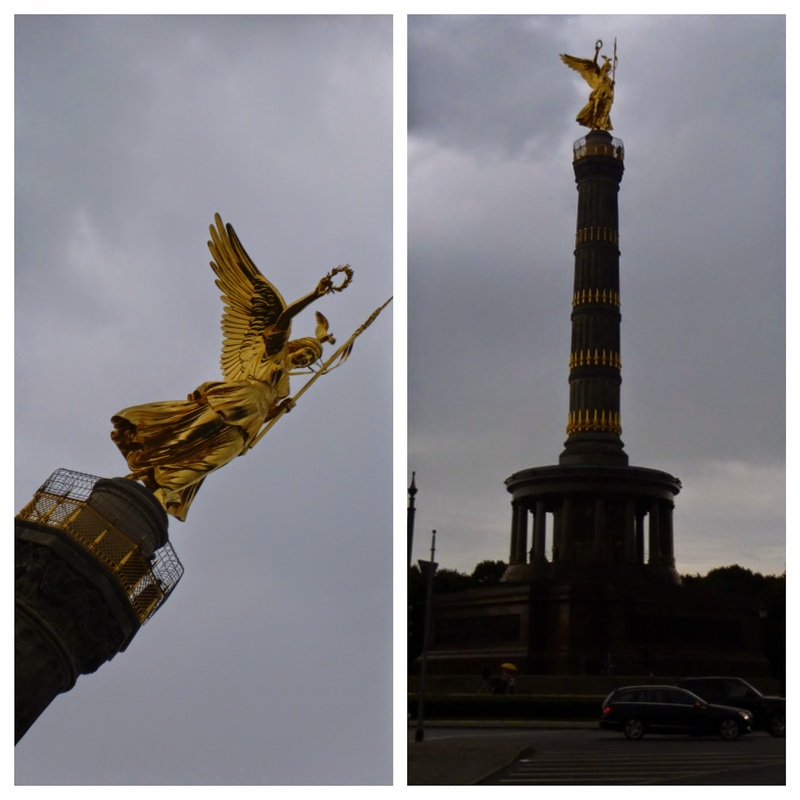 The Siegessäule translates as Victory Column and celebrates Prussia's victory against Denmark, Austria and France. You can climb up it (but no matter how much you work out, it will make you feel unfit). The Tiergarten (animal garden) is beautiful. The Siegessäule lives there and the Brandenburg Gate is right on the edge. I think it's a lot more beautiful than the Mauerpark, but not as fun. It's very big and there are lots of statues and monuments to look out for (other than the Siegessäule). I like the Brandenburg Gate a lot and I especially liked it at night. 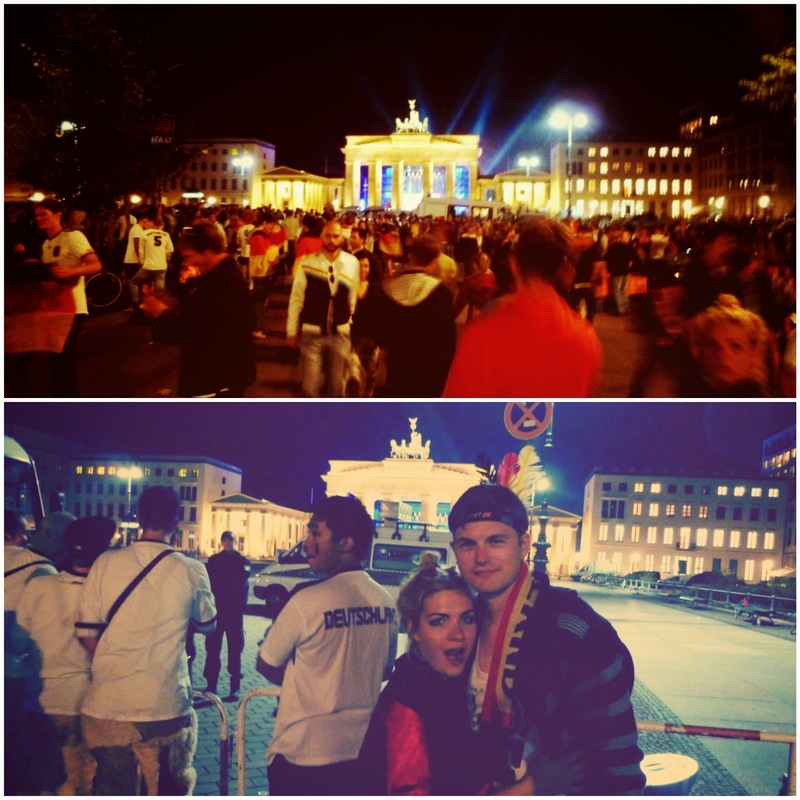 When we were there Germany had just won the World Cup, so the atmosphere was incredible. Which brings me to an insider point: even if you hate football (like me), I highly recommend visiting Berlin or Germany in general when Germany is playing. Sit outside with a beer, soak up the happy atmosphere and make new friends. If you're in the mood for more free Europe check out 10 free things to do in Rome.